New year’s Eve in Rome, an appointment for many. After initial doubts here is confirmation of the expected and inevitable concert in the Circus Maximus: opening the evening will be Edoardo Bennato, then the Negramaro live and dj sets by the stroke of midnight. 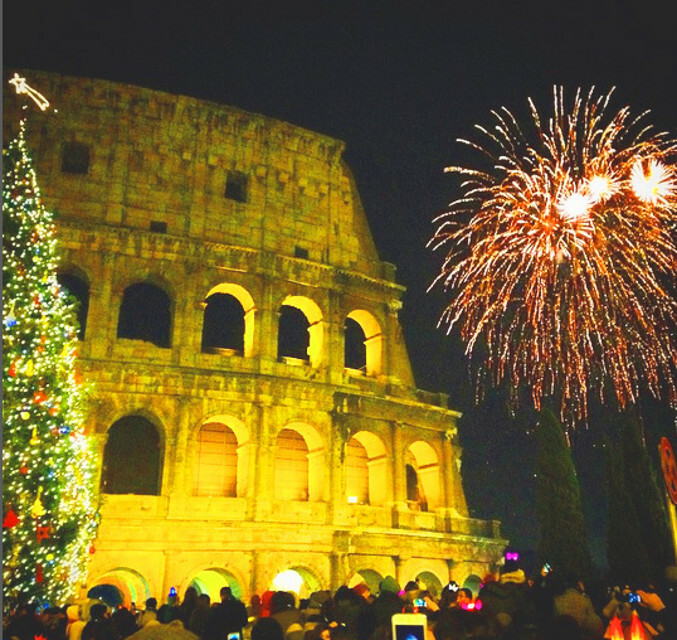 But on new year’s Eve in Rome will not just be the old town: the night comes alive even in the suburbs, music and entertainment-from 18 to 2-in terminus of Anagnina, Battistini, Laurentina and Rebibbia. Many then alternatives to highlight events for those who decide to spend the December 31, 2015 in the Capital: from party with electronics in various clubs of the city, to rock concerts and swing. Ever the dinners and toasts in the most exclusive locations of the eternal city. It was the greeting used by the ancient Romans during a toast to wish “still great success” in life, love, work. It is also the wish to all of you who visit the site and that you will stay in this Bed & Breakfast, located on the first floor of an elegant and quiet building, with lift, in the center of Rome, in Prati-Vatican area, very strategic for those who want to visit Rome and for those who must stay not only for tourism. From B&B are near: Rai, Theaters , Auditorium della Musica, Courts, Corte dei Conti (URP), Universities (La Sapienza, Lumsa, Università Cattolica A. Gemelli, ecc), Hospitals ( Oftalmico, S. Spirito, Ospedale Pediatrico Bambino Gesù, San Carlo di Nancy, IDI, Gemelli), Private clinics ( San Giuseppe, Santa Rita da Cascia, Villa Stuart), Stadiums (Olimpico, Flaminio, Stadio dei Marmi). Vatican Museums , Via Ottaviano, Via Cola di Rienzo (for the shopping), Basilica of Saint Peter , Via della Conciliazione, Castel S. Angelo, Ponte S. Angelo, the historic center of Rome: Corso Vittorio Emanuele, Campo de’ Fiori, Piazza Navona, Largo Argentina, Phanteon.